The closest supermarket to my house is a Coles. But in order to gain its sweet bounty of 85c bread, I must sadly walk inside one of the worst places on earth: shopping complex Claremont Quarter. Some call it a cathedral to capitalism, Mammon’s home on earth, or Liberal party headquarters. Whatever name you choose, all innocents agree that Claremont Quarter is a blight upon the earth. Peopled exclusively by well-to-do wives freshly peeled from Range Rovers (or, if you arrive after 3 p.m., a horde of GT schoolchildren), it is the darkest place I can imagine; it is the setting of all my panic nightmares. Twisted out of the ground by baleful hands, the Quarter is built of chrome and white, glass and crystal. It is a marble tombstone to any sense of culture or coolness that the suburb might otherwise have enjoyed. You know the new UWA Student Centre? Imagine that, but BIGGER. And infested with exactly the type of person who wins a university guild election. Shops include the perceptively titled Dilettante, Mecca Cosmetica, Blue Illusion, Gourmet Republik, and yes, a pretty good Farmers Market. At Claremont Quarter I am almost always the worst dressed, the most slumped in defeat. 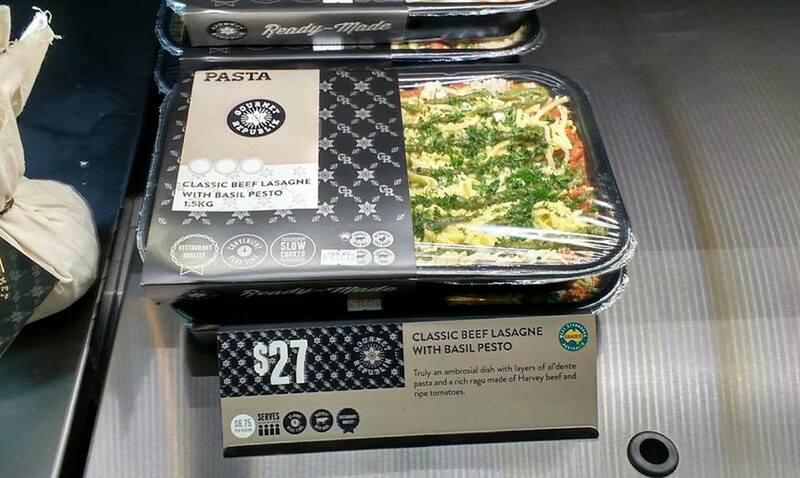 I just want to go to Coles, not buy your $27 oven lasagne*. There’s something strange I’ve noticed about the complex since I began to observe it closely. In other shopping centres, there are panhandlers – whether they are trying to convince you to participate in a survey about your stance on wheat, or friendly red shirt-wearers selling copies of the Big Issue. But I have never been stopped inside Claremont Quarter. The only exception is when a vested, bow-tied wearing madman tried to sell me the lasagna pictured above. Usually the complex spares its customers unwelcome interactions; at Claremont Quarter you need not risk encountering anyone interesting or poor. Still, few people are happy. Everyone walking in Claremont Quarter is either moving quickly with a slightly pained expression on their faces, or they’re moving slowly, with a smug expression of entitlement, taking up all the goddamned foot space. I worry about the people who live in the apartments on top of Claremont Quarter (I mean, I hear those apartments sell for 3+ million, so ‘worry’ might not be the right word). What can it be like? Did they lose some profound and terrible? Do they dwell there because of a genie’s curse? How can they stand living above a despair-prison they may never escape? 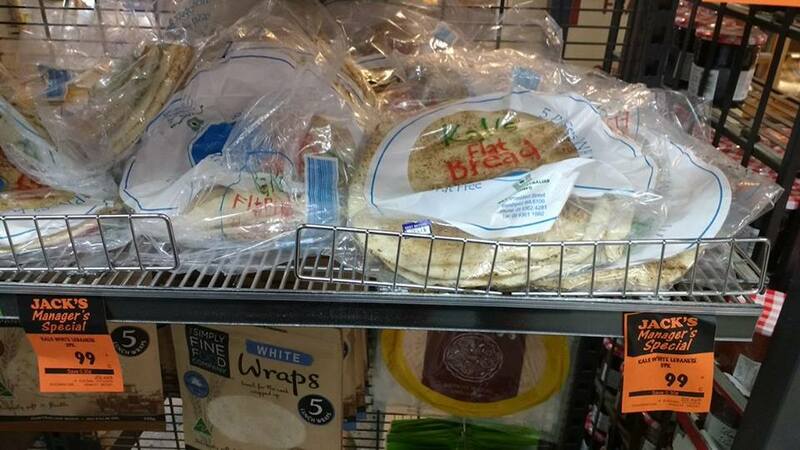 If it wasn’t for the 99c wraps at Farmer Jack’s, I might never have to go there at all. But I must, so I do. Damn you and your deals. Damn you and your wide selection of my favourite foods. A strange, horrifying lair – the consumerist feeding grounds for some of the worst people on earth – this place is our gentrified future. As state governments drain life from every suburb and building, new Claremont Quarters will burst forth from the concrete substrata of Perth, fully formed and angry. We will be left with only stolid shops of clothing, no pop-up stores, no change. Only franchised cafes, perennially decorated for Christmas, Halloween, or whatever new day is invented in the future to celebrate gross consumerism. Worst of all, some combination of my Catholic guilt-based upbringing and vague worries about security guards means I have never stolen anything from the self-service checkout. Claremont Quarter presents itself as the ideal, but it is a nightmare. And it threatens to make a tiny Claremont Quarter inside of you. I would burn it down if I could. However, arson in self-defence is still, unaccountably, illegal. Please, write to your MPs.